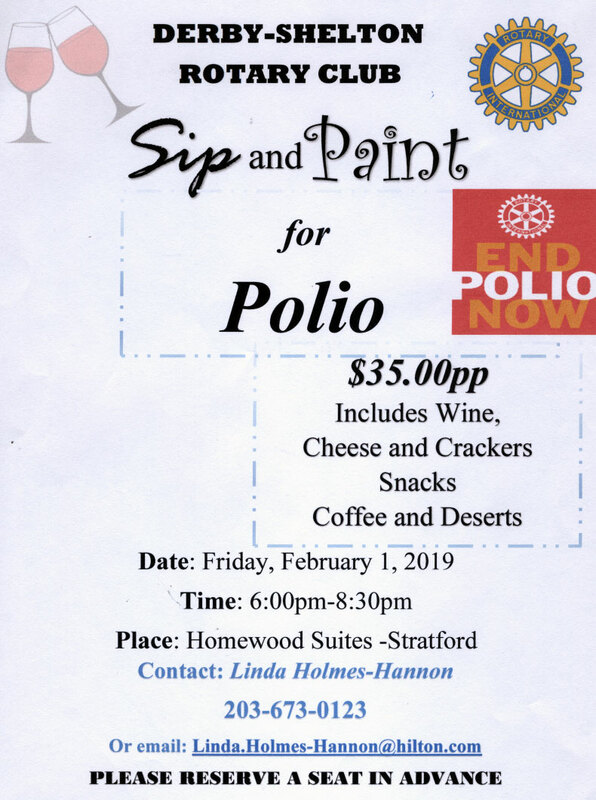 Home » events » Sip & Paint for Polio Raised over $1,000! Then Derby-Shelton Rotary Club’s first ever Sip and Paint for Polio night was a great success. 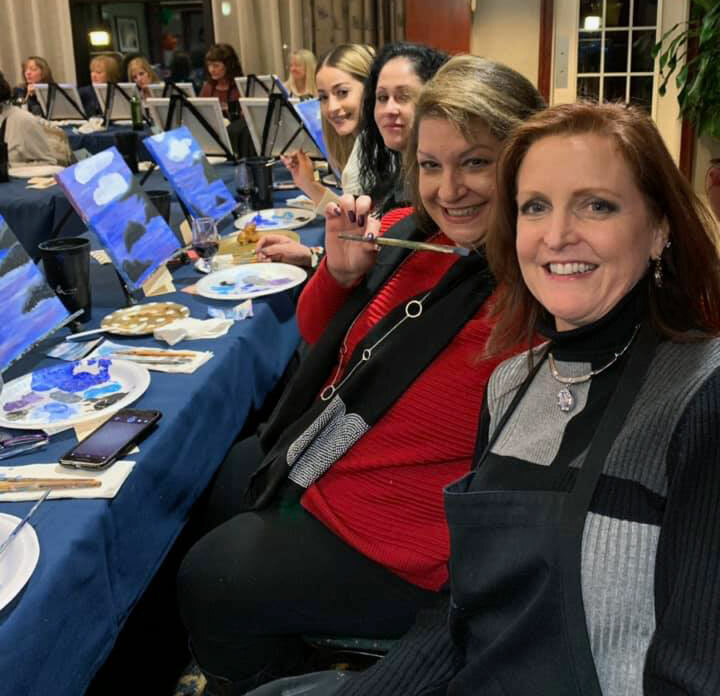 On Friday night February 1 the room at Homewood Suites in Stratford was filled with creativity and fun as you can see from the picture above. Even more importantly, the event raised $1,080 for Rotary’s End Polio Now campaign which is on the verge of eliminating Polio worldwide. We thank Homewood Suites for their generous support in making this possible and for Linda Holmes-Hannon’s leadership in making it all happen.